For an outbound call center being time-efficient is a hard thing to achieve if you don’t have powerful call center software by your side. Countless minutes are taken up prepping for calls, manual dialling, accessing the right information, processing leads, updating customer details, scheduling call backs and more. How much time are your agents spending prepping for a call? Is the information they need quick to access, easy to read on sight, and has all the up-to-date information that they need to talk? Imagine a world where they didn’t need to prep at all? And this is where high performing call center software steps in. You can give your agents a direct agent interface, automated screen pops and integration to CRMs, so they can live view, edit, get feedback on and dial leads with minimal manual handling. And with this, rather than putting the phone on hold, prepping becomes a seamless and integrated action, where agents move from one call to the next, easily absorbing the right information one bite at a time. Constant manual dialling hurts not only your fingers but also your brain, and is a huge downside to keeping agents motivated and in the flow. The other thing about manual dialling is that it’s complete waste of time. When agents are dialling they can’t do anything else, and the chances of dialling wrong numbers are higher. More time is then wasted hanging up, finding the next number, manually dialling again, and hoping to get through. This takes many more seconds than if it has to, and it all adds up. And here, automated dialers are the answer. 3. Not another disconnected number! A bit like lost sock land, there’s a place where disconnected numbers go. Where, no one quite knows, but it’s somewhere out there designed to waste a considerable amount of agent time; unless you have a lead cleanser. Lead cleansers are the answer to perfect calling momentum. Lead cleansers eliminate all disconnected numbers so you don’t waste time calling numbers that won’t go anywhere. Add this along with a fresh list of leads, and your agents will be more efficient with every call they make. Not knowing their stuff is not always your agents’ fault. It may be hard to find, access or read in one go. And when they’ve got pressing sales targets, there is the potential that they call a customer without all the relevant details in front of them. And this can have a huge impact on the quality and success of the call. And all so everyone is better informed and knows exactly what they’re doing. There’s nothing like receiving a call at 11pm at night from a time-delayed telemarketer in Mexico selling Readers Digest to US retirees. Although the chances are that with a foreign looking number, you probably wouldn’t have even picked it up. But what if the call was made at 7pm, from a local number, with no time delay, and offering something that actually interests you. Maybe then this agent would have been in with a chance. Having clear timing and logic to the why, who and where you’re calling is central to powerful call center software. It automatically dials up the lists you’ve attached to your campaign, so you’re always calling the right targets. It can also give your call numbers a local area code so people are more likely to pick up. It lets agents process leads in a logical way with data capture tools to edit information – when to call back, who to leave out, who is interested – and automatic call back scheduling for when a number doesn’t answer. If it’s a crappy script it won’t take your agents long to find out. They might start to take on that wild glare of desperation from plugging the same tired old script that’s still getting them a cold hard ‘no’. But if you were right there, live monitoring, listening into their calling style, analysing performance stats and fine-tuning their scripts and giving advice, the outcome could be vastly different. You could turn the sinking ship around in an instant before leads and agents start to implode. And this is what you can do 24/7 from anywhere using a cloud-based call centre solution. Live monitoring, adjusting campaign schedules, mixing inbound with outbound, scaling to increase call handling volumes, using real time reporting to understand agent and campaign performance…all of this is possible with the right call center software. 7. Geez…I have to manually update this information? A huge block to agent call rhythm is the dreaded task of admin when wrapping up. Having to manually transfer customer data to other external applications is a time-consuming task. It also breeds a sense of distrust that information is ever up-to-date. With call center software, you can integrate with external systems that need call information; this includes web-based CRMs and other external business applications. This means account details are always updated, in an instant, so agents can feel confident they’re not wasting their time on irrelevant and old information. In today’s fast-paced world of outbound calling, call center software is now integral to helping call centres stay competitive and achieve positive growth. And the reason for this is simple. 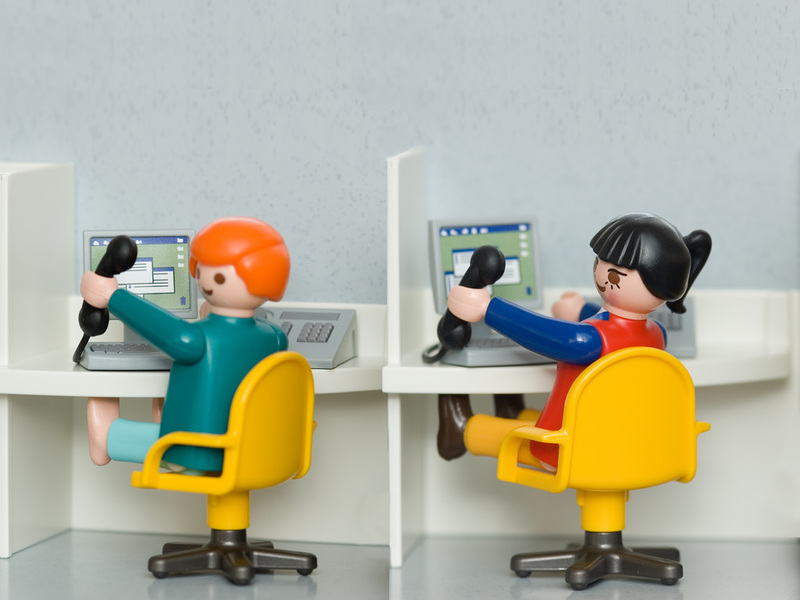 By taking over a whole range of processes, call centres save an enormous amount of time and frustration. And the net effect of simplifying everything and getting ride of many manual time-wasters is a huge increase in productivity and profit margins – not a bad result for simply using great call center software! Want to streamline your entire outbound operations? Download our comprehensive 35-page ebook on the 14 ways to make more call centre sales without spending more.